Our last class of the season is in one month. Join us! Thursday, September 7, 2017 | 6:00 – 9:00 p.m.
September boasts some of the season’s most luscious blooms: dahlias. Bring your favorite bottle of wine and come create a farm fresh dahlia centerpiece at Finding Eminence Farm. 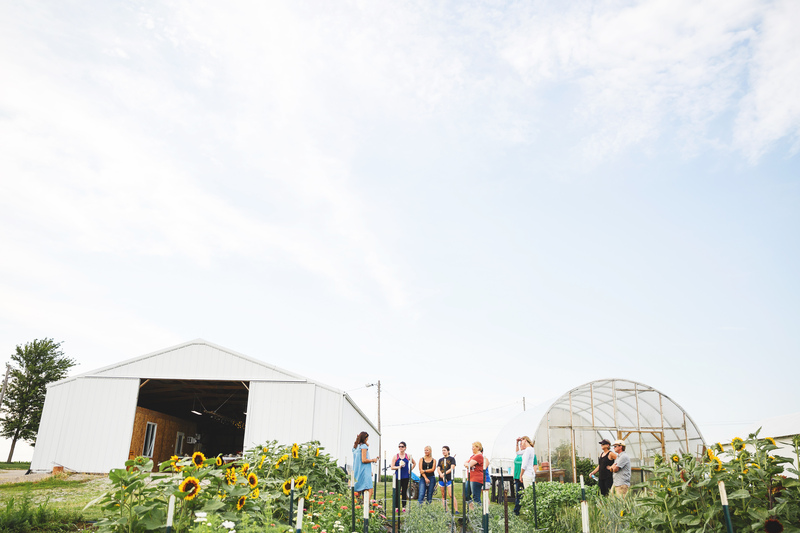 Though our farm is normally closed to the public, during this class you’ll get a farm tour and be able to harvest giant, fluffy dahlias as the golden sun soaks over you as it sets. Audra will then lead you through each step of creating a stunning, abundant centerpiece to take home and enjoy. This is a beginner level course and guests are welcome to bring their favorite adult beverages. Space is limited. Class will be held through rain or shine.